So this is taken off in Ferricorp and yeah was wanting to make a Hellsing wally for my own and want to share it with ya....didnt know how to start this so i went for a light flashy grunge wall, blood stains and some stuff. Ummm lots of overlay, duplication and gaussian blurs on this, Re-cged parts of his trenchcoat and black part...Love the eyes i put on him to give him the immortal vampire he is and hes so Godly looking especially with those guns. So yeah i went over 129 layers in over 4 hours at the time. but the face could use some fixin cuz it's not that sharp and because it's the main focus of the wall. Another one of those crazy detailed bgs you make that I love!! Interesting bg, I must write. But while I liked the brushwork immediately, it took me some time to get used to the brown-red-white colour combination. holy crap, amazing brushwork as always! Awesome wall. The BG looks very old style english :D Very fitting. lol~ grunge to the max XD wicked stuff as always! if the scan was as crisp as that bg, waah the possibilities. XD XD XD XD XD XD XD XD XD XD Dude I have no words to describe something so incredible! the background is very nice ^_^ matches him perfect! Oh my... oh my... ooooohhhhhh my!! that's MY boy! And he has his guns?! ~Faints~ I love those little pea shooters. And talk about class and style. That man... or should I say vampire has it. Now as for the asthetics of the wall. I love it. Bring out the inner demon Alucard. Lovely lovely lovely lovely lovely!!!! Cant say enough. Fav this be. amazing! 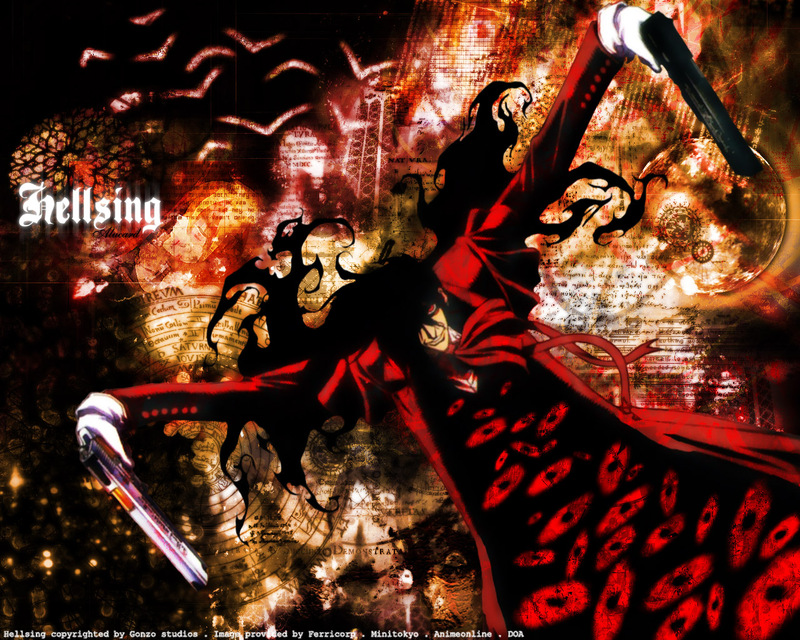 so much better than the hellsing stuff you see everywhere else. O.O wow!!! that is an awesome wall!!! your grunge skills are heavenly!!! love this wall^^ the colours are good too. wow-ness great wall! !